Photon etc fast and all-in-one hyperspectral microscope IMA IR offers unmatched image and data quality. 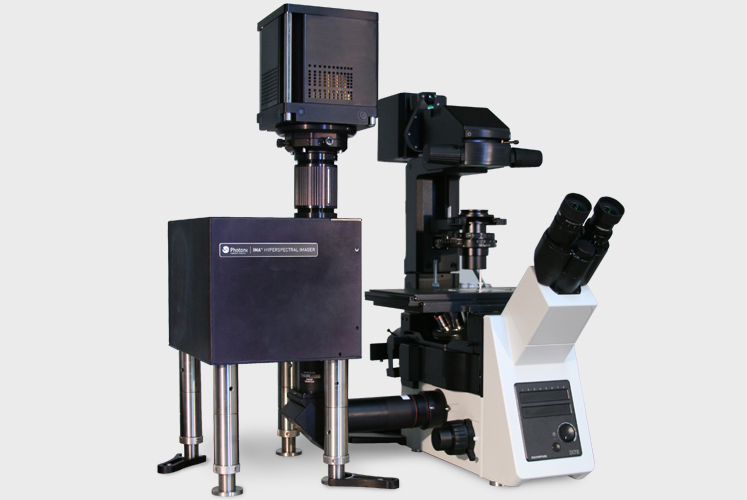 This hyperspectral platform is optimized for infrared spectral range. NIR hyperspectral microscopy covers the detection range of 900 nm -1700 nm and is ideal for the spatial and spectral identification and measurement of fluorophores that emit in the second biological window. For example, single wall nanotubes (SWNTs) emission bands are narrow (~ 20 nm) and each band corresponds to unique (n, m) species (chiralities). With IR hyperspectral microscopy, it is possible to separate these species, with single SWNT spatial resolution on surfaces, in live cells (in vivo), and in vitro. Images obtained by IR hyperspectral microscopy can be used to study fluorescence and spectral heterogeneity from single SWNTs in complex environments, including live cells and tissues. 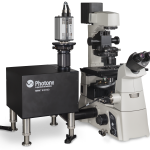 From solar cells to advanced materials, Photon etc fast and all-in-one hyperspectral microscope IMA™ PL offers unmatched image and data quality. Based on a sensitive HgCdTe FPA, and integrating a four-stage TE cooler, ZEPHIR™ delivers an astounding 345 frame-per-second rate while reaching unrivalled low noise levels. Perfectly adapted to industrial applications in quality control and sorting.